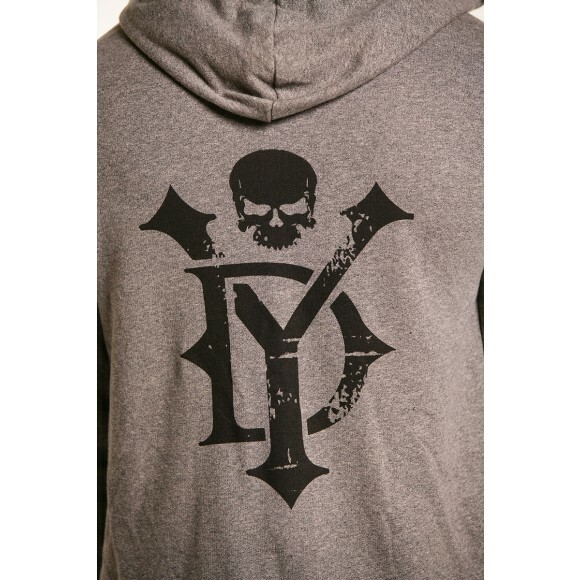 A more fashion forward take on a traditional hoodie with a large DYC Skull Emblem printed on back. 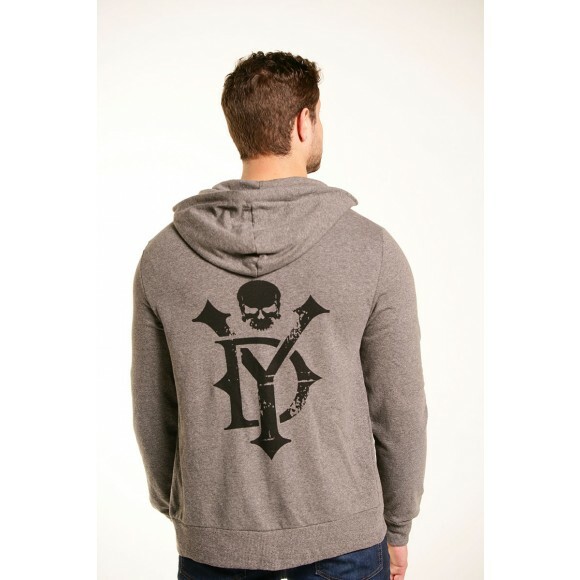 This lightweight zipped jacket features a mock neck detail and contrast hood strings perfect for elevating your style. - Mock neck detail. Contrast hood strings. Full zip. - Squared kangaroo pockets. Set-in sleeves.